This is our second week of being back to school and even now, we aren’t quite back into the swing of things. I think that every little bit helps in getting read for back to school. 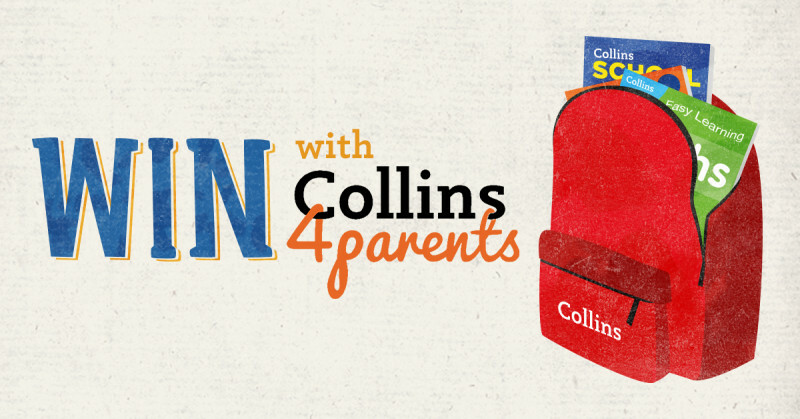 This is why I am delighted to support Collins in their Back to School season, they are supporting both parents and children with their range of high quality reference materials and resources for children of all school ages. Tailored to each key stage of the curriculum. 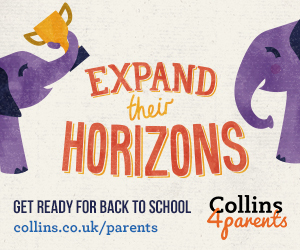 Collins have produced a Free and comprehensive guide to help parents understand what to expect from each year at school, from pre-school to primary, right through to secondary school. Every parents wants the best for their child and it can be difficult to help them at home with it comes to their education as it’s changed so much since we were at school. This is where the Collins guide helps. It explains briefly about the different tests that children in the UK will come across from pre-school through Primary. The free guide by Collins can be downloaded at www.collins.co.uk/parents. On the Collins site there is a wealth of information on helping your child at home learn and practice spelling, grammar, etc using fun games and activities that you will both enjoy. There are a wide range of pdf sheets to download and use to support your child’s education at home. It’s all about learning through fun. As part of the Back to School season Collins are offering a 25% discount plus free P&P on the Collins Back to School range of books until the 30th September 2015 using promo code SCHOOL25 which can be used on their website. I have bought the boys loads of books from their range over the years, I am certainly taking advantage of the discount and stocking up. The Letts Monster Practice Addition and Subtraction books were all my oldest would do throughout the holidays after starting school. He is a whiz at maths and loves doing these. The books really challnge children, but are fun at the same time. Plus little miss will be starting nursery next year, so I might get her a couple for Christmas. What do you do to prepare your children for back to school? To help make back to school life a little easier Collins are giving away £100 worth of dictionaries, thesauruses, atlases and revision guides, tailored to your child’s school year (from age 3-18). Disclaimer:- This competition is being run in conjunction with Collins and they are sending out the prize direct to the winner. C) 40, that made my brain work at 7 am in the morning hehe!! C) 40 is the number you started with .